Quickly raise your team IQ from 120 to 1000+. 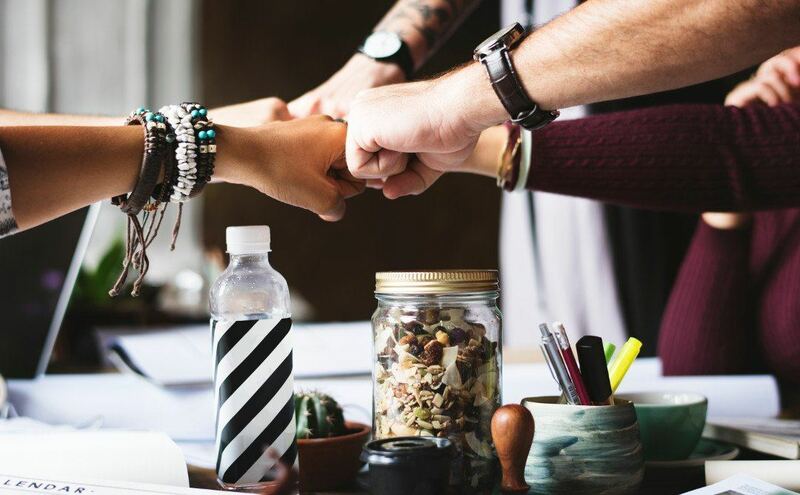 Team One (Traditional Leadership) relies on a smart, experienced manager to gather input from everyone, make good decisions, and assign team members to carry out work. Whenever someone hits a snag, they bring the issue to their manager, who may add it to the next meeting agenda, and adjustments are approved to make sure they stay on track. Team Two (Hands-Off Leadership) distributes its power to the team members who take action in their own areas after consulting with stakeholders and subject matter experts. They pool knowledge formally and informally, decide quickly as a group, set their own agenda items in weekly action sessions, and adapt as needed based on their combined knowledge. Which team is smarter and learns faster? Which team makes better decisions faster? Which team adapts best to emerging issues? Which team members are happiest (and less likely to quit)? Which team retains its knowledge as a company asset (instead of a personal asset that vanishes when the person quits)? These scores are based on actual experience. In fact, it represents the same team, BEFORE and AFTER. One senior leader said "the transformation has been magnificent." 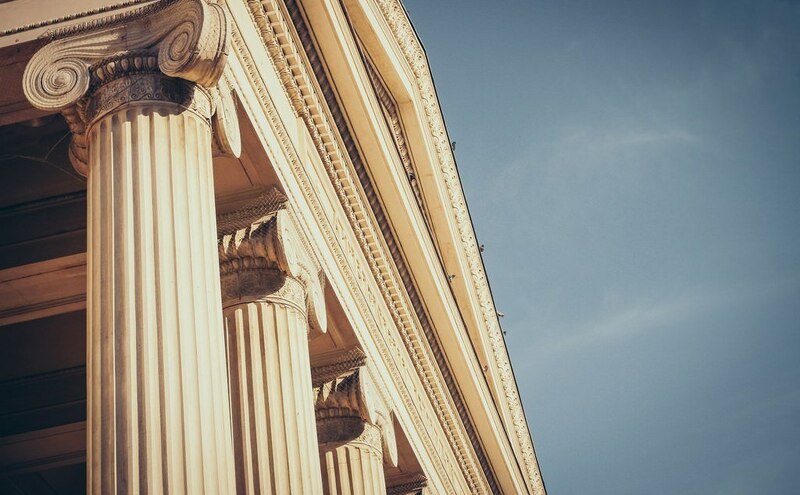 To start this for your team right now​, you only need to three pillars. A progressive manager can introduce these in their very next meeting. 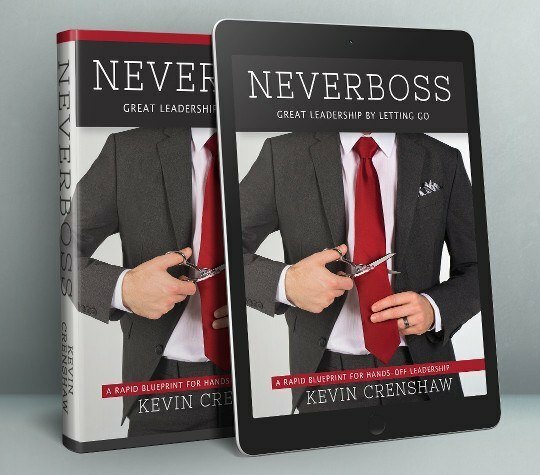 They come from NEVERBOSS: Great Leadership by Letting Go, where you can find more details and tools. However, you don't need the book to get started. This isn't vague or fuzzy, and it's easy. Openness means making it easy to share all the right information, freely, without fear. But you can't create openness by telling people to be open. Instead, as David Marquet points out, adjust their working environment and their behavior naturally changes. 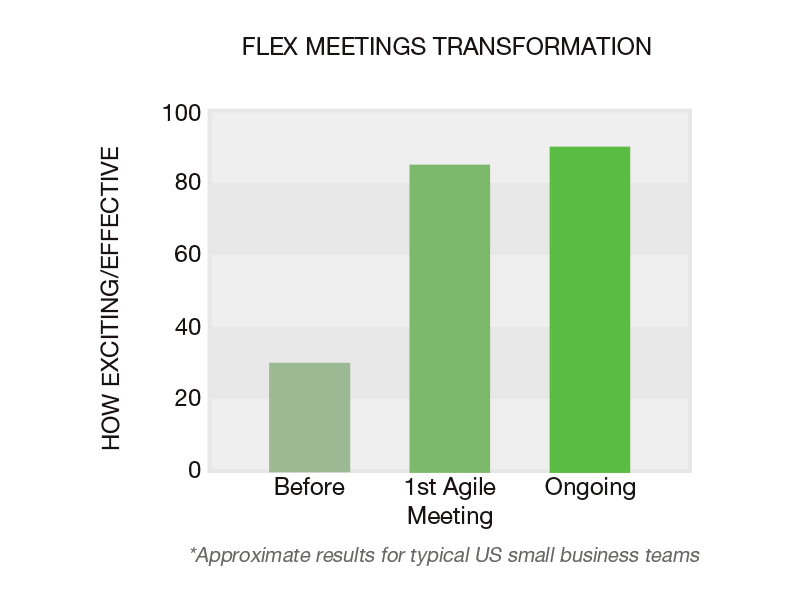 The fastest way to unleash openness is to change your meeting structure. Change it—from from rigid, top-down, agenda-driven—to flexible, bottom-up, issues-driven.​ You still make an agenda to stay on track, but you build it on-the-fly. And it's filled with burning issues that team members bring to the meetings, not mindless reports. That makes your discussions exciting, pertinent, and focused. You'll also take notes together in a collaborative document. You see each other edit and type. You compile information in real time as you pool your knowledge. It's fun and it's a permanent record of the expertise of the company. For more information about this type of meeting, see the article: How to End Boring Meetings Forever. ​Buy-in means if you can 70% agree, you vote "yes." It eliminates deadlock in decision-making, and it's essential for semi-autonomous teams. Otherwise, decisions bog down waiting for consensus, which is hard to get on complex issues if you have a lot of people with varied backgrounds. And you need varied perspectives to keep the team smart. This one change in how the team decides is huge, but it's not enough by itself.​ The next pillar makes buy-in safe. Agility makes buy-in safe, because if something isn't working out, you've already agreed to improve it or pivot and try something else. So if I don't 100% like the current proposed idea but can live with it for awhile, I can say: "I'll buy in and see how this works. If it's not looking good within 2 or 3 weeks, let's revisit it." "I'm not going to be making the decisions from now on," your manager says. People suddenly look up from their phones. "You​ have the expertise in your areas. You have the best front line information. From now on,we see all of you as leaders, so come prepared with burning issues to throw on the table for the group to tackle together." "If it's not you, then who will make the decisions?" someone asks cautiously. "You will, after talking with the stakeholders. We all will together, using buy-in and agility. Buy-in means if you can 70% agree, vote "yes." Agility means we'll release things quickly even when they're not perfect, then make fast changes fast based actual feedback." "Instead of dictating, I'm responsible to build leadership and excellence. I'll train, coach, support, and mentor. I make sure our team runs smoothly and line up resources. If needed, I'll "make the call" when we need to act, but only when buy-in and agility aren't enough. I'll especially focus on strategic issues to bring to these meetings." People look thoughtful. A few of them start to smile. It's not every day that a leader gives away power. "I'll run this meeting once the new way, to demonstrate how it's done. Let's open our laptops and ignore those preset agendas I sent out. Open this Google document (or SharePoint or ...) and start typing in burning issues to discuss." The first meeting usually jumps from 35% exciting and effective to 85% or more. Will you try it next time and see what happens in that first meeting?